The event will run from March 1st to March 14th and the quest "A Colorful Affair" will start in Ul'Dah as usual. 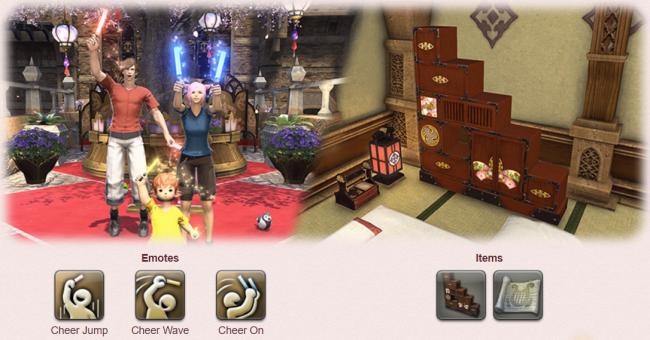 Interestingly enough, this year's awards will include a Far Eastern Doll Display, a Siren Song Orchestrion Roll, and three emotes with glow sticks, where players can get their fixes. Final Fantasy XIV is currently available for PS4 and PC and recently received a major update (version 4.2) under the title "Rise of a New Sun". Among the many changes, players can fight the legendary Phantom Train and the most popular Final Fantasy villain, Kefka. On the other hand, the upcoming 4.25 update will come with a brand new feature called "Forbidden Land Of Eureka".